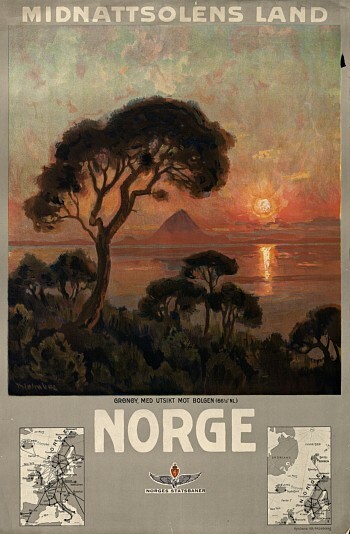 The first poster that presented Norway as a tourist destination came in 1905, the same year as the dissolution of the union with Sweden, and was made by the Norwegian State Railways (NSB). 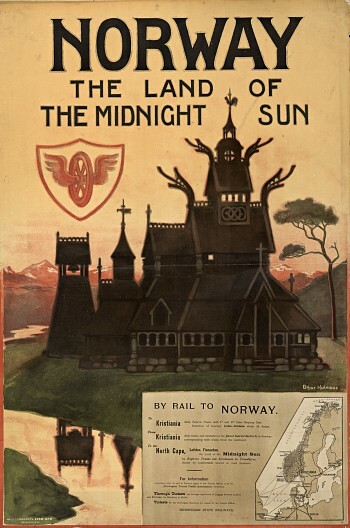 It shows the midnight sun, a stave church and the Norwegian mountains, and was printed in Norwegian, English, German and French. 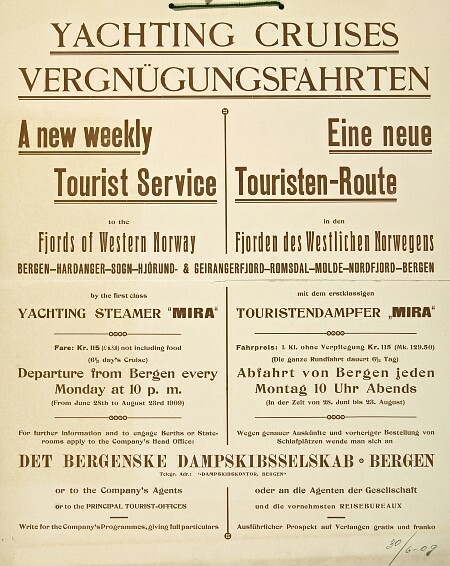 The poster is tempting British travelers with a 54 hours long journey by train and steamship from London to Christiania (today’s Oslo). That the train did not go as far north as the midnight sun, the poster says nothing about. In 1905 the train only went as far as Trondheim. 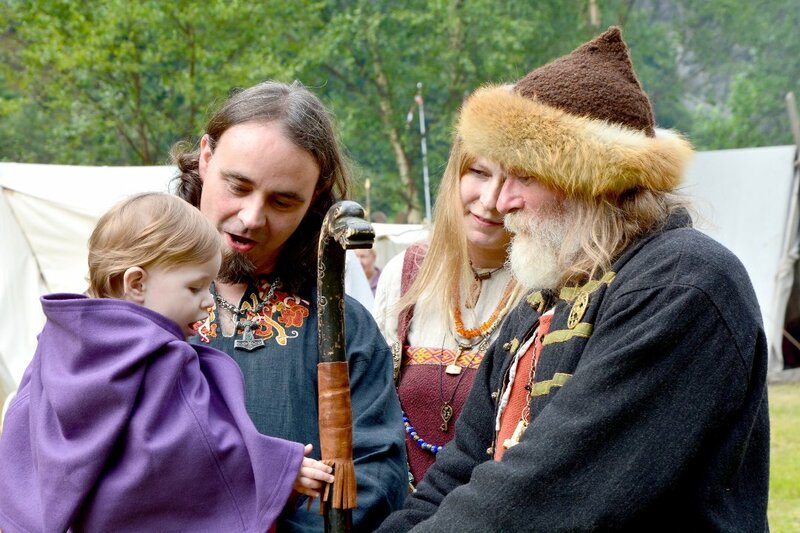 It was not before 1962 King Olav V opened the last stretch of the Nordland Line to Bodø – a town that have midnight sun. 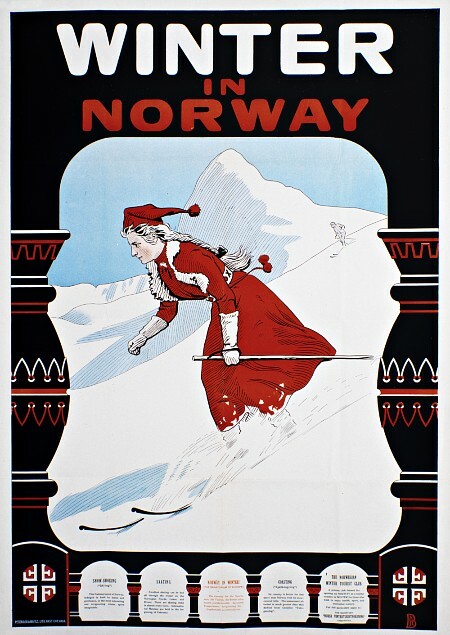 Here you will find some vintage travel posters showing that the way Norway is marketed has not changed much over the last 100 years.